Abuja airport runway 95% ready, says Minister of state for Aviation, Hadi Sirika – Royal Times of Nigeria. Minister of state for Aviation, Hadi Sirika, says the runway of Nnamdi Azikwe International Airport, Abuja which is currently undergoing repairs, is 95 percent complete. Speaking on a radio programme, tagged: ‘Political platform’ in Abuja yesterday, Sirika said; “We are now about 95 per cent completion of the Abuja Airport runway. We are finishing the laying of asphalt today. We had about two days of rain, which disturbed the ongoing work. But we are working and we are going to get to the due date, which is on April 19, 2017, God willing. Other works like the lightening, markings among others have been going on simultaneously. 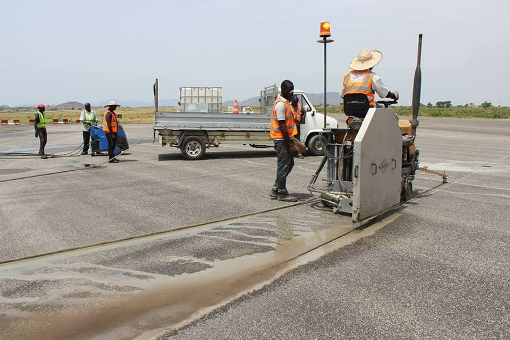 There is a new technology, where glass glide is put in the process of constructing the runway to reinforce it, to give it extra strength and prevent cracks and that is what we have done at the Abuja airport runway. Runway 04 to runway 022 of the airport was closed for repairs on March 8th and is expected to be open on April 19th. 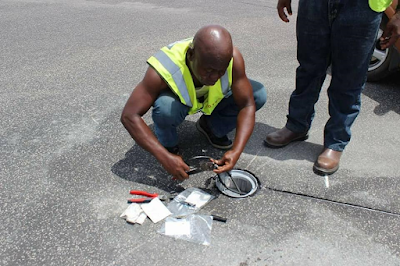 The runway which is being repaired by Julius Berger will cost N5.8 billion.